Mackie is expanding its lineup. At NAMM 2018, the company made a series of announcements — though perhaps the most interesting is the fact that the company has launched a line of in-ear monitors — called the Mackie MP series. The series includes a total of three pairs of headphones — the Mackie MP-120, Mackie MP-220, and the flagship Mackie MP-240. The move represents a pretty organic expansion for Mackie. Long has the company been known for offering excellent speakers, both for professional and home studios. 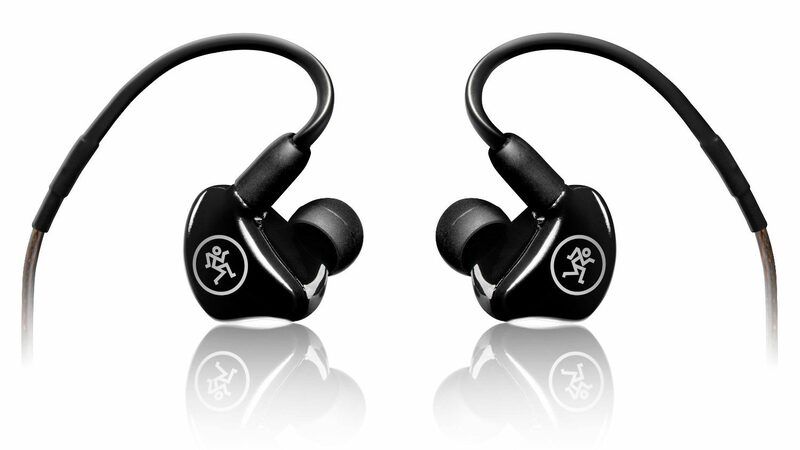 We’ll be very interested to see how the company applies that knowledge to in-ear monitors. According to Mackie, the in-ear monitors all feature “ergonomically molded enclosures” with a total of three types of ear tips in the box. The cables included are detachable, internally braided, and shielded. Of course, not all the models are the same. The Mackie MP-120 features a single dynamic driver, with what Mackie says is plenty of low end and clarity. The Mackie MP-220 offers dual dynamic drivers for a slightly tighter bass response, and the Mackie MP-240 uses a dynamic driver coupled with a balanced armature driver — offering a nice accurate bass from the dynamic driver and clarity and detail from the balanced armature driver. The Mackie MP-series of headphones will be available to the public starting on February 1. You’ll be able to get the Mackie MP-120 for $140, the Mackie MP-220 for $210, and the Mackie MP-240 for $280. They’ll be available from Mackie’s website, and likely the Mackie Amazon store too.